The body of the suspect in the shooting death of a University of Utah student Monday night was found in a church near campus, CBS Salt Lake City affiliate KUTV reports. The suspect, later identified as Melvin Rowland, died of an apparently self-inflicted gunshot wound, the station says. Police investigating reports of shots fired and a possible kidnapping Monday night quickly found a body in a car in a campus parking lot, KUTV adds. The car was near the South Medical Tower, a residential structure. 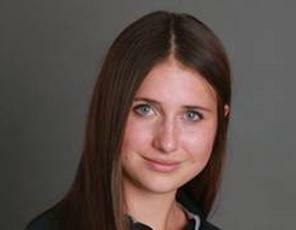 In a statement, University of Utah President Ruth V. Watkins identified the victim, saying, "It is with tremendous sadness that I share the news that Lauren McCluskey, an accomplished student athlete who came to the University of Utah from Pullman, Washington, was killed Monday night on our campus. Police said McCluskey had had a relationship with Rowland. "Lauren was a highly regarded member of the university's track and field team and an outstanding scholar, a senior majoring in communication. Several members of our university administration spoke with Lauren's family last night and I have also reached out to them. Her family is understandably in shock at this news about their daughter. They are heartbroken. We have and continue to offer our full support to them at this terrible time." Police say the victim had been in a relationship with Rowland, and they got into a dispute earlier in the evening. He wasn't a student at the school. Police believe suspect has left campus and is no longer a threat to campus. Continued police activity throughout the night. Please avoid the Medical Towers area. Updates on https://t.co/sMi4tPwuZ7. Morning and evening classes were canceled. While the manhunt was ongoing, the suspect was described as a 37-year-old black male. He was believed to be 6 feet 3 inches tall and about 250 pounds, wearing a gray beanie, black pants, white shoes and a white hoodie. Initial story originally published at 12:54 a.m.